TPA in Czech republic was announced as the winner of the Best Tax & Finance Advisor category at the CIJ Awards ceremony this year. 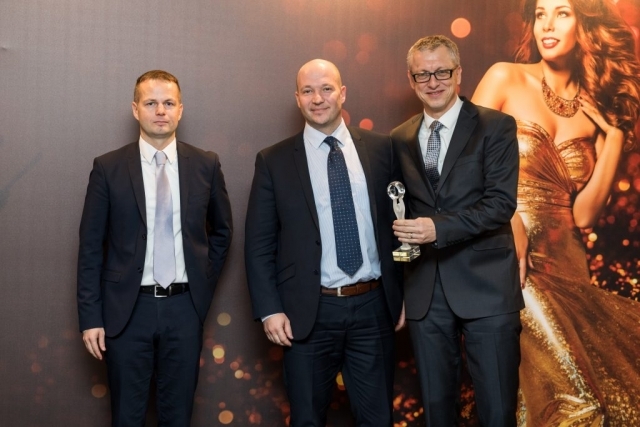 The prizes were awarded on 29 November at the Marriott Hotel in Prague. The CIJ Awards are organised every year by the Construction & Investment Journal (CIJ), a magazine specialised in the real estate market in Central and Eastern Europe. In commercial property, this award has the longest-running tradition in the Czech Republic. “TPA has been specialising in property for many years and I think that on this market we’re one of the leaders among all audit and tax offices. That’s why we are very honoured by this award. For us, it’s proof that our clients and the expert public see us the same way. I want to thank all our clients for their confidence and all my colleagues at TPA for their commitment last year,” says Petr Karpeles, TPA Partner.